RFM SOMNII is a stunning seaside festival in Portugal’s coastal resort of Figueira da Foz. 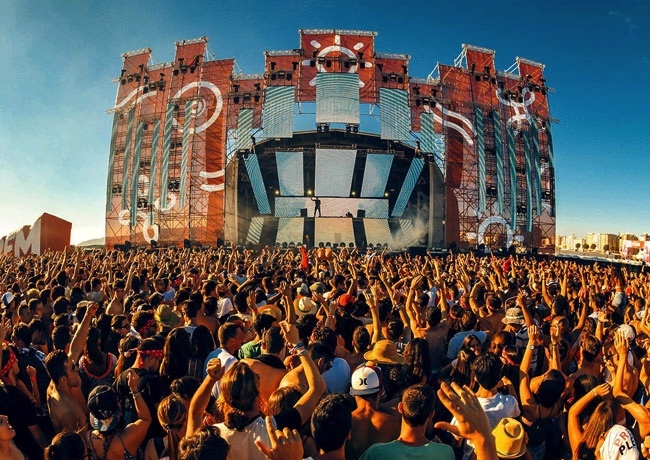 After more than a decade it has truly established itself as the largest beach and sunset festival in Europe with more than 120,000 people attending across three days. In 2019 it takes place from 5th – 7th of July 2019 with two superstar headliners per day in Alesso, Afrojack, DJ Snake, Ozuna, Don Diablo and Tyga who all bring their world class sounds, with hip hop and reggaeton also represented at the festival for the first ever time. The production, staging and special effects of this festival have to be seen to be believed and make it a super sensory experience all under the warm coastal sun. The big room sounds and hardstyles are all complemented by stunning sunsets each and every evening which add another incredible feature to the three day event. 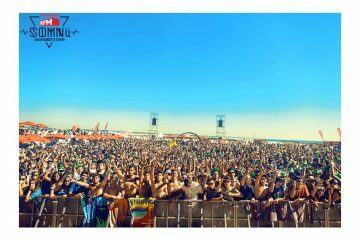 The venue, too, Figueira da Foz beach, is one of the biggest beaches in Portugal, located between Porto and Lisbon and the respective airports. The first headliner is Afrojack, consistently one of the world’s top DJs according to DJ Mag and a record breaking producer. He played eight times across five days at Tomorrowland in 2017, and returns here for the third year in a row to one of the biggest audiences of the year in Portugal. Then comes Alesso, the man behind countless worldwide hits including the platinum single ‘Let Me Go’. He last played here in 2014 and called it one of his favourite gigs so expect something special in 2019, as well as from Afro Jack, another EDM superstar who has played every major gig and festival in the world and is always in the DJ Mag Top 100. Then comes American rapper and Cash Money artist Tyga, who is often in the Billboard Top 100 with his fresh rhymes, and the sensational DJ Snake, a Grammy-nominated producer and artist from France best known for his explosive mix of trap and dubstep sounds. Dutch sensation, future house legend and 7th in the Top 100 DJs of 2018 list by DJ Mag, Don Diablo, whose Future album last year was one of the best of recent times also plays. For the first time in five years in Portugal, you can also look forward to Netsky, an area filling drum & bass act who has remixed the likes of Ed Sheeran and Swedish House Mafia, is always in the DJ Mag Top 100 and world on his latest album with Stargate, as well as Jay Hardway, the man behind hits like Gold Skies, which had more than 3.6 million YouTube views. Add in global house sensation Fedde Le Grand, LMFAO singer Stefan Kendal aka Redfoo & Party Rockers and breakout UK DJ superstar Jonas Blue and much more from festival regulars Rich & Mendes, the globe trotting Olga Ryazanova, versatile Dutch duo Magnificence, local tech-house hero Mastiksoul, Dutch deep house and tropical house DJ from Spinnin’ Lvndscape, Lost Kings, James Hype and UK prog-house duo Third Party; this is set to be 72 hours of unrivalled main room dance action in a picture perfect setting under the the biggest sunset ever. The largest beach festival in Europe announces huge headliners for 2019.